Then I started working a venue where I was surrounded by people with a more conservative slant, all of whom were much older than me. And it was imperative to be taken seriously. So I found myself dressing up. No more jeans. More formal shirts. And ties. Always ties. Ties are kind of my nemesis. I am just tall enough and round enough that a standard tie does not fit me unless I hit some perfect margin of accuracy that can be measured in millimeters. If I'm off with my knot at all, I end up looking like Rodney Dangerfield or I have to tuck in that goddamn tie tail into my shirt. (I HATE that tie tail.) But the much more serious issue with ties is that they have become complicated as hell. I think back to when I was a kid––suits were dark, shirts were white, and ties MIGHT entail a few stripes and the occasional paisley. 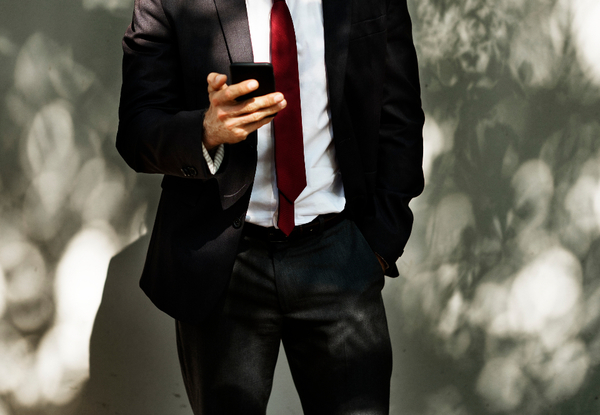 Now––shirts are every color and pattern and ties are similarly variegated. I have GQ-ed, I have googled, I have browsed websites, all to make sense of how to make these things are supposed to work together. And what I have learned is that there are no rules. It is the wild west out there. And for one who is neither Kanye West nor a Swedish DJ, but is instead a marginally stylish person trying to land at least 1% better than "okay," finding what works has been a difficult journey. The Tie "Tail." I could never pull this look off. So, I've tried to figure out, not rules, but some principles to make sense of all that is out there. I'm not sure if they are hard and fast or not. But I'm sure––out of trial and error––that these work for me. Maybe they'll work for you. For a longtime, a colorful, patterned shirt was a fearsome thing to wear in a formal setting. There was too much going on with it, and too much at stake. But I realized that there was actually more freedom leaning INTO colorful shirts than there was in avoiding them. 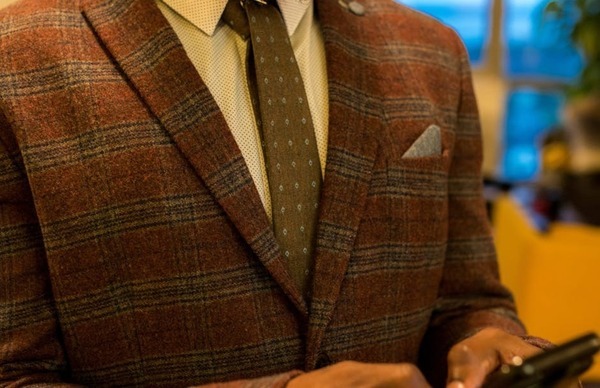 Once you take the plunge and realize that drab, overly conservative pairings are a thing of the past, there's every reason in the world to go with something striking under your coat or blazer. One of the things I learned about my own sense of style was that I was drawn to contrasts. I like light colors against dark ones and find busy patterns interesting against something solid. 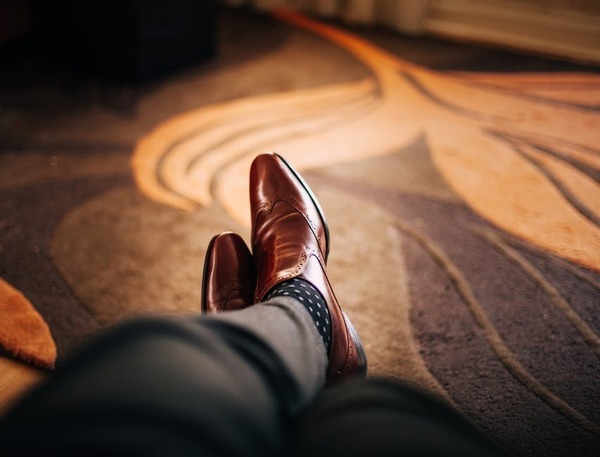 I think if you are trying to add some flair and stylistic panache to a wardrobe that is either old fashioned or just under-stylized, moving toward contrast is a good way forward. But it can be too much. And this is where I would say another pair of eyes is crucial. The best way to be free to make more exciting sartorial choices is to make sure that you have people around you to tell you when your instincts are wrong. When mixing ties with a wider array of shirt options, it is too much to say there are no rules. 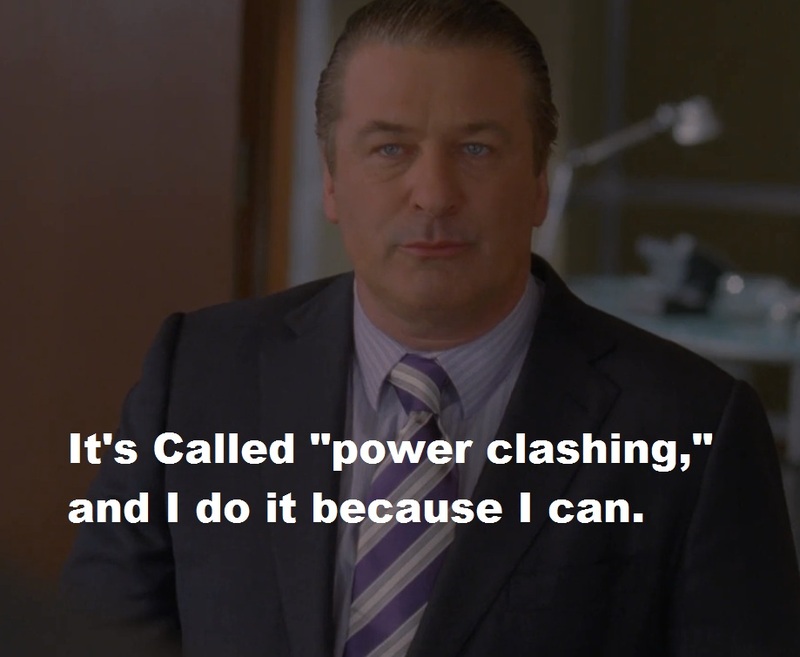 Even if Jack Donaghy's "power clashing" is a real thing, you can't clash in all directions at once. There still has to be an underlying logic. So with that in mind, for the sake of making things easy, I try to think of ties as having one of three pattern: solids, stripes or irregular. A solid is anything that is one color or a color with a regular (but not linear!) embellishment. For example, I have a maroon tie that has small dachshunds detailed in a regular pattern. For all intents and purposes, this is a solid tie: its maroon. Any linear pattern or patterns are stripes. And everything else––here I'm thinking embellished paisleys, 50's style abstract patterning, images or text based patterns, etc.––is irregular. And there are simple rules for this. If you have a striped shirt, try to go for a tie that is solid or irregular. If you have a a checked/patterned shirt, go with a solid or a stripe. And if you shirt is solid, striped or irregular should be your first go to. Here's the other thing about these rules––if you want, you can break all of them, especially if it looks good. Sometimes, in the moment, stripe on stripe works. If you wear it with confidence, all will be well. At least when I was growing up, this was what every grown up and every men's department sale's person told me. If you are wearing navy pants, the tie should be navy. If you are wearing khaki pants, you should go with earthtones. 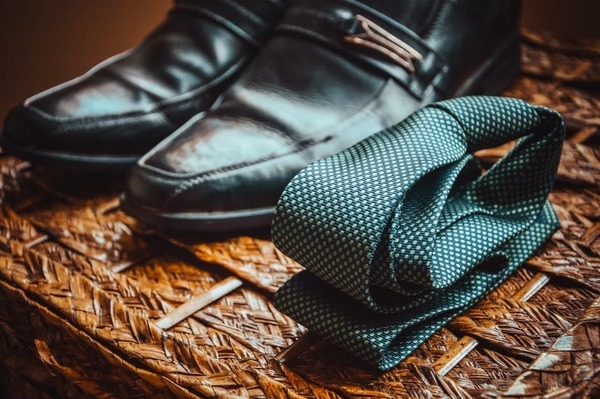 If you are wearing grey, find a grey, blue or black tie. I suppose you could keep this up and it wouldn't make you look bad, per se. But it is a HUGE and unnecessary limitation on your styling possibilities. Go wild. Trust your instincts. Break out of the old rules. The idea that everything goes with black is something I just always heard. It was supposed to be true in some exclusionary sense that made it much more flexible than other colors. But as I few older, black actually seemed to really clash with a lot of colors that, perhaps in years past, were verboten. Vivid colors like yellow or pink and gentle pastels like turquoise and cream all "clash" with black. But brown––in its earthy diversity––actually has a lot to offer where flexibility is concerned. And in items likes shoes, socks and other accessories, brown has proven to be way more helpful as a background neutral. Unless I'm supposed to be wearing a tux or going to a funeral, brown is the palate that helps me keep my creativity in bounds.